AMMAN — Authorities have started experimental use of drones to monitor and record violations on trees in the forests of the northern region, a government official said on Monday. 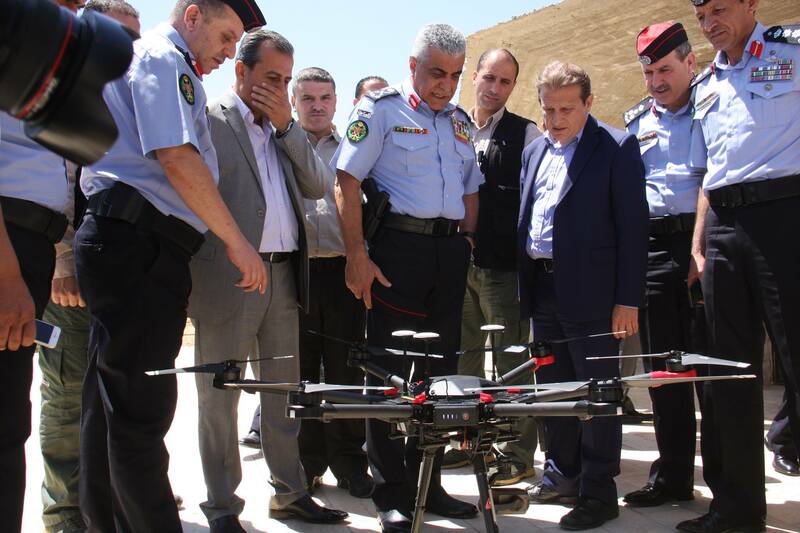 In the past two months, the Ministry of Agriculture and the Royal Rangers Department have released the drones over northern forests on test flights, Director of the Forestry Department, Bassam Fawair, said. The fully operational use of the drones is expected to begin soon after the ministry and the Rangers sign a memorandum of understating to regulate the use of drones, including issues such as the duration and route of each drone’s trip, and whether to release it during the day or at nighttime, among other details, Fawair noted. “We are now in the process of preparing the memorandum of understating. The Rangers will be in charge of releasing the drones and the process will be coordinated with the ministry’s forest rangers and forest monitoring towers,” the official told The Jordan Times. The ministry has created a wireless communication network which will link all stakeholders involved in the protection of forests, in preparation for using the drones, as well as cameras in the later stages, he explained. Forest rangers and their vehicles have been equipped with mobile wireless communication devices, according to Fawair, who noted that the communication network also links the towers to the network, as well as to the drones when they are operational. Cameras will also be installed on the towers, as well as at entrances and exits of forests, he noted. “The ministry is taking the protection of forests to a whole new level, in which modern technologies are being used to prevent illegal logging during winter and arson during summer,” Fawair highlighted. Four drones will be used in the monitoring of the forests in four governorates, Balqa, Jerash, Ajloun and Irbid, according to the official. Forests in Jordan constitute less than 1 per cent of the country’s total area of 89,342 square kilometres, making the Kingdom among the poorest countries worldwide in terms of forest cover. The internationally accepted average of land covered by forests is 15 per cent of a country’s total area. Forestry land amounts to 1.5 million dunums, of which 250,000 dunums are bare, 400,000 dunums are natural forests, 500,000 dunums are planted forests and 350,000 dunums are nature reserves, according to official figures. Official figures show that violations in forests are dropping, with 453 cases recorded in 2015 and 230 recorded in 2016, according to ministry’s Spokesperson Nimer Haddadin, who noted that, so far, 50 cases of forest violations have been recorded since the start of this year.